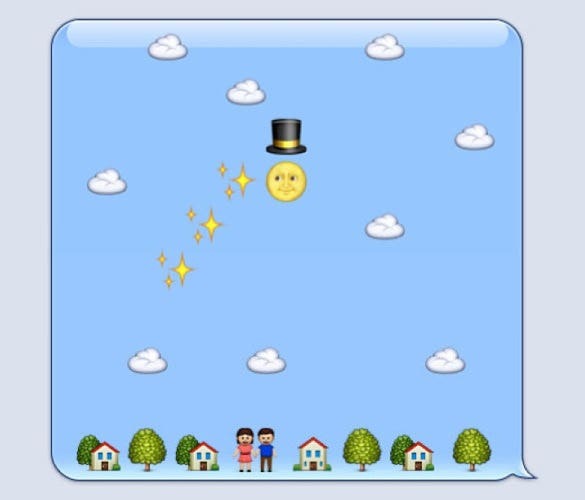 Text messages with emojis have their own charming appeal and are hence loved by all. 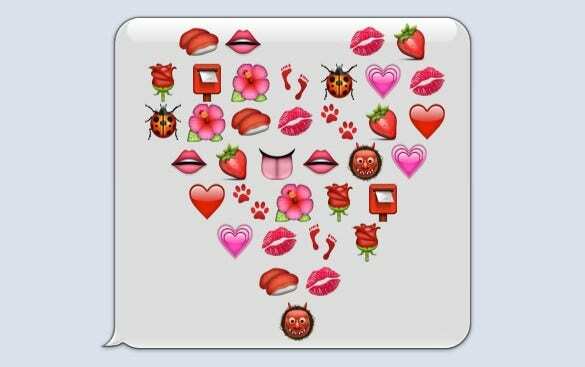 Are you too fond of cute emoji text messages and would love to send them to your near and dear ones? 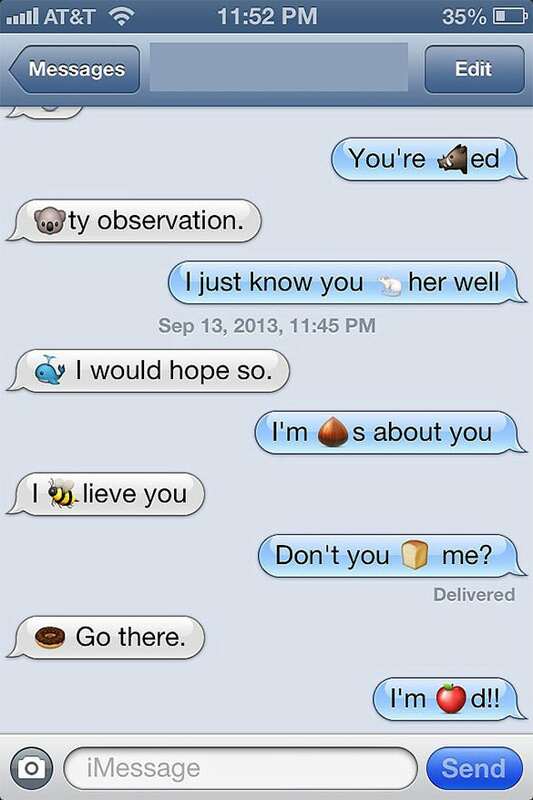 Well, that’s great and if you are in need of some good inspiration, our fantastic list of cute & funny emoji text messages is sure to please you. imgur.com | Have you heard that song by Will Smith – “Fresh Prince of Bel-Air”? 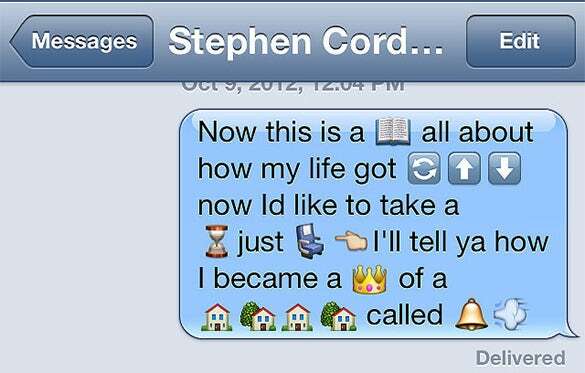 If you wish to convey it by the smart use of symbols and Emojis available in smart phones, here’s how. 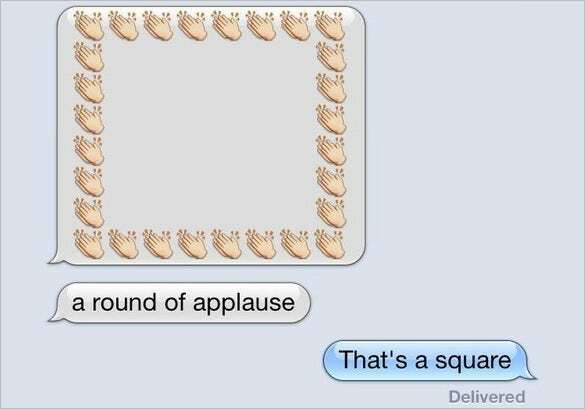 Some people are really expert in using Emojis, we must say! Few people know Emojis and symbols extremely well. An interesting conversation between two people would show you how and make it quite evident. 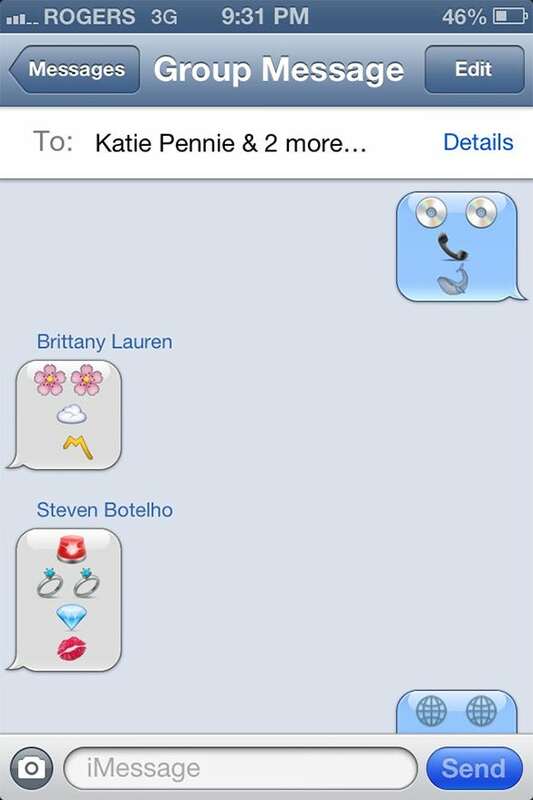 A Whale Emoji is used for “Well”, Donut is used for “Do not” and “bee” is used for “be” in believe. Now that is really something, isn’t it? Do not Stop Believing is a great number by the group known as Journey. 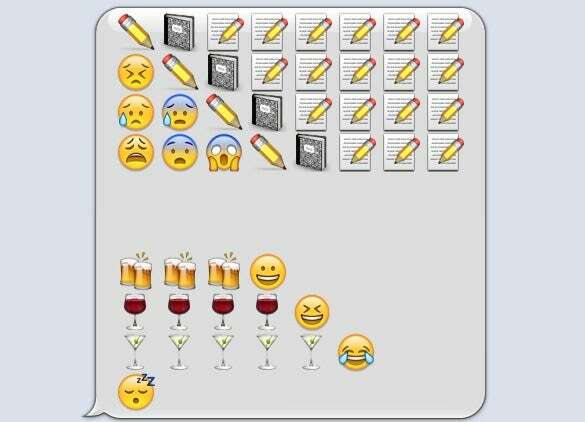 Did you ever think that it could be written through Emojis? Neither did us. Check it out here and send it to your friends to leave them astonished. Thank us later for the great idea. 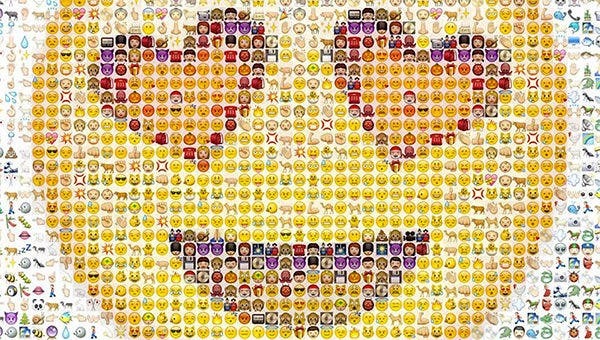 instagram.com | Arrange eyes, nose, tongue, lips and other Emojis in a great way to create funny faces and convey funny meanings. 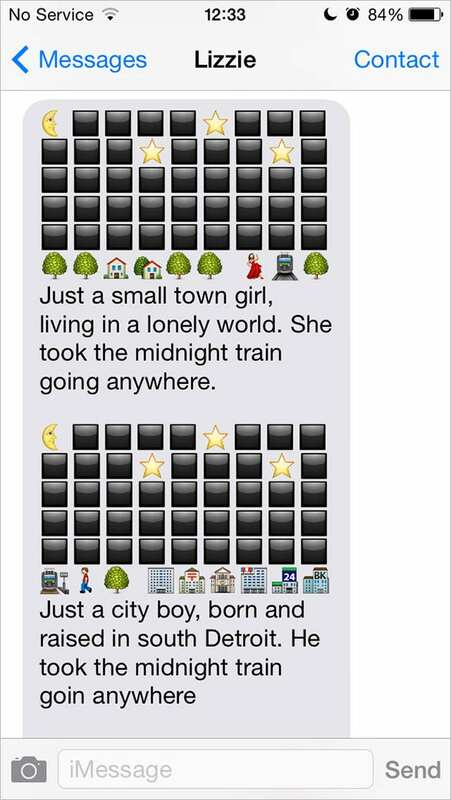 Now that you have a nice idea to tease your friends, get started and have some brilliant “Emojional” conversations. imgur.com | This text message would surely brighten up your face. It describes the scenario of a house when a man returns home to his family and says “Honey I’m home”. It would warm your heart and give you a sweet feeling inside when you see how the baby reacts. 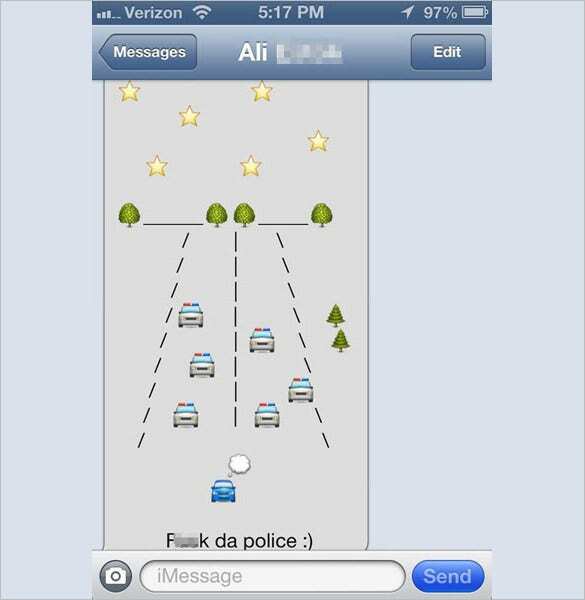 rayleighdee.com | How a guy is indifferent to the police vans following him is depicted through this text message. Pictures speak a thousand words. Same applies to these symbols on chat. IT is indeed amazing how they can convey so much in a few Emojis and signs. 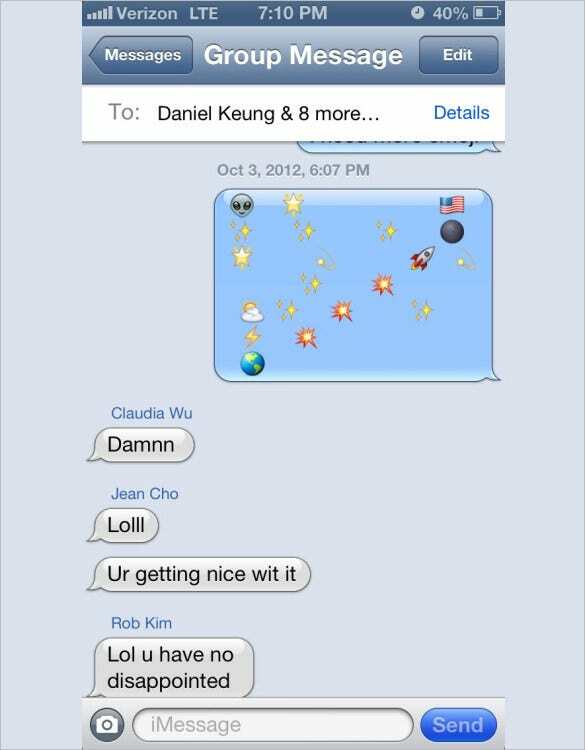 fuckyeahemoji.com | A space shuttle landing on the moon can be wonderfully shown through symbols of earth, moon, clouds, stars, lightning and a flag of USA. 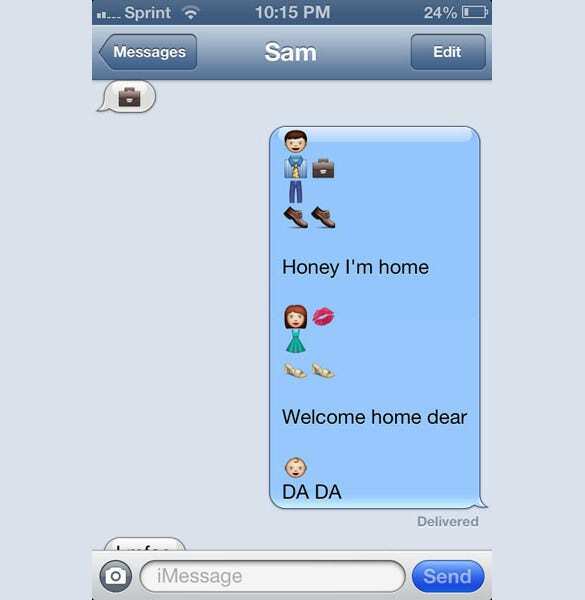 Creativity exists in the strangest of places and such interesting, cute and funny text messages are a great example of that. 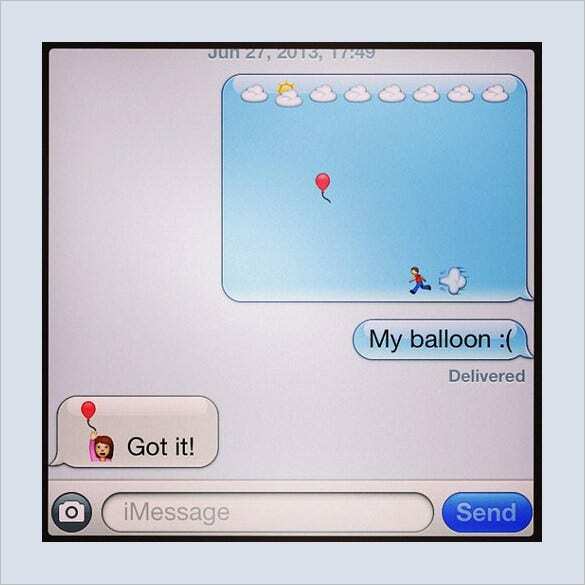 instagram.com | Got it Balloon is a sweet text message with a single dialogue – “My balloon 🙁 ” and “Got it!” Emojis managed to make this conversation fun to read with the help of Emojis like a guy running after a balloon and a girl catching it. cheezburger.com | “The Car Ate Him” is a great way of warning another guy to stay away from your girlfriend. Check it out below and the next time someone messes with your relationship, you know exactly what to tell him. Oops! We mean “emoji” him. blameitonthevoices.com | “Rob a Bank Emoji” would instantly crack you up. 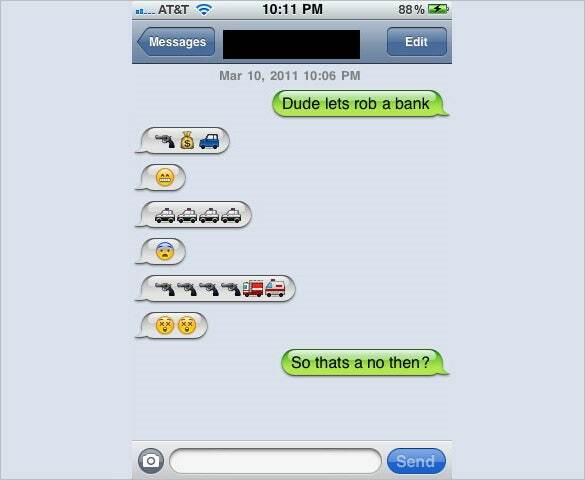 When a guy asks another guy to rob a bank, his reply through Emojis is simply hilarious. Here’s what he replied to deny the offer. Try it out and spread smiles in your friend circle. 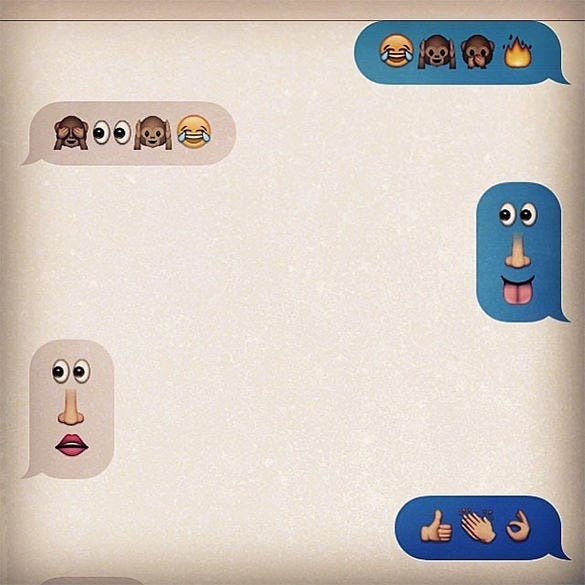 Make sure your friends do not consider you too much “Emojional”. Just Kidding! 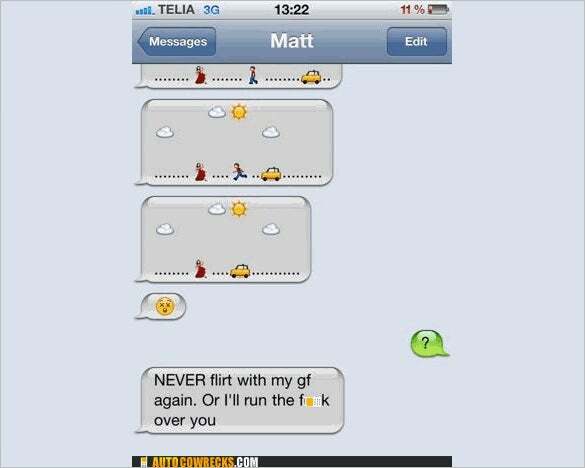 We have come up with a wide gallery of fun emoji text messages here that are sure to match every taste. Whether you are looking to send a one to that special person in your life or to your bestie or your favorite cousin- we have covered everything.